Update 7/24: New photos of the Samsung Wireless Charger Duo have surfaced, along with a rumored price. Samsung introduced wireless charging to its smartphones starting with the Samsung Galaxy S6 in 2015. Since then, the company has opted to stick with the feature in its newer phones even though other device makers such as Google have dropped it. Wireless charging still isn’t a widespread feature in Android smartphones, although we are starting to see more and more premium smartphones come with support for the feature. Samsung was the first to promote fast wireless charging starting with the Samsung Galaxy Note 5/Galaxy S6 Edge+. 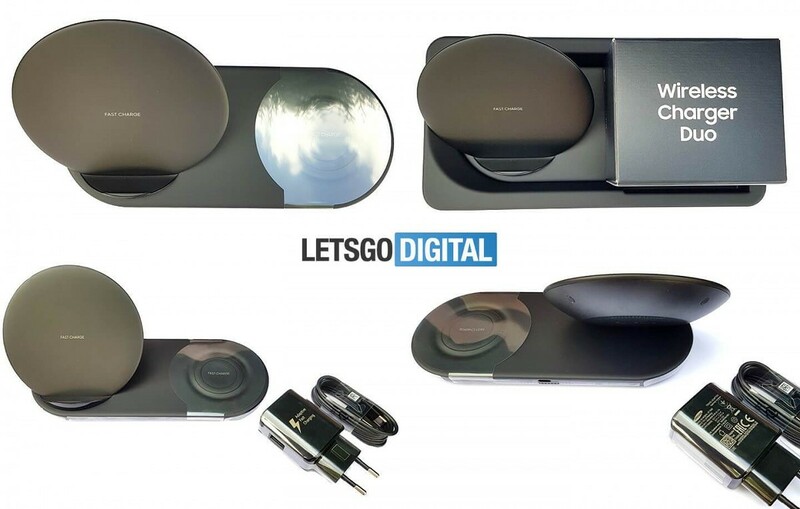 Now, Roland Quandt from WinFuture has leaked the Samsung Wireless Charger Duo, which charges both the upcoming Samsung Galaxy Note 9 as well as the Samsung Galaxy Watch. The Samsung Wireless Charger Duo can also charge two phones at the same time. The text on the charger’s box states that the charger can handle dual fast wireless charging, meaning that it can charge both the Samsung Galaxy Note 9 and the Samsung Galaxy S9 at fast wireless speeds at the same time, for example. Naturally it is compatible with Qi certified products, which is one of the two common industry standards for wireless charging (the other being PMA). The charger’s box doesn’t specifically mention anything about charging speeds, but a previous report did state that the Note 9 may have faster wireless charging. The Samsung Wireless Charger Duo will be promoted as an accessory for the Galaxy Note 9. With respect to pricing, Mobilefun states that the charger will cost £55 in the UK. As of now, this is only an estimate, and it’s likely that the pricing will be confirmed only at the Galaxy Note 9 launch event, which will take place on August 9. 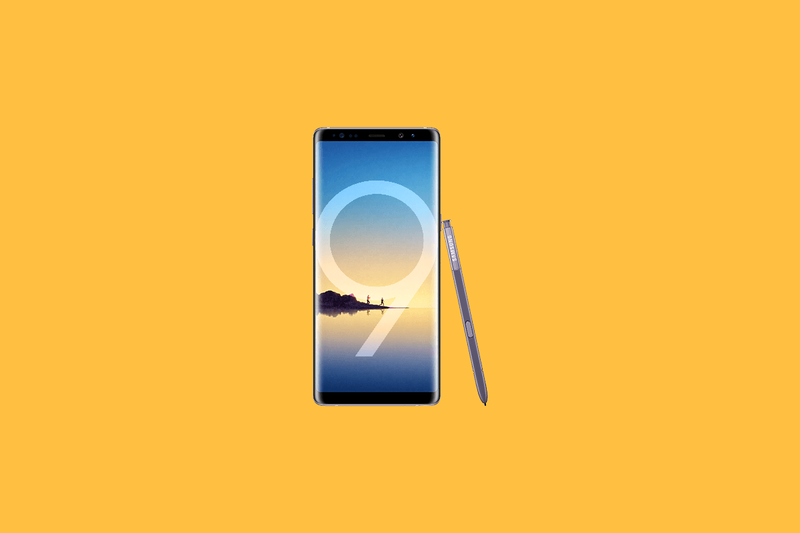 We know quite a lot about the Galaxy Note 9 already: it will be powered by the Exynos 9810 for international markets and the Qualcomm Snapdragon 845 for select markets such as the US and China, it will have an improved camera, a new S Pen, and a new layout for the dual camera module and the rear fingerprint sensor. It may be powered by a 4,000mAh battery. The Samsung Galaxy Watch will launch alongside the Galaxy Note 9 and will be powered by Tizen 4.0. It will be the successor of the Samsung Gear S3, and it will be released next month. LetsGoDigital has released some new photos of the Wireless Charger Duo outside of the box. We can see half of the charger is designed to prop up the phone while charging. The other half is a flat landing pad for a smartwatch or another smartphone. The report also states that the accessory will be priced at €75, which likely means it will be $75 in the U.S.